The Computing Research Association is sad to hear of the loss of Joanne Cohoon, a leader in the evaluation efforts of our programs. Joanne has been involved with the CRA for more than a decade. 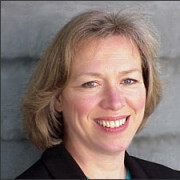 In 2006, she was the PI on an NSF-funded study that was initiated to test the validity of an earlier report, “Recruitment and Retention of Women Graduate Students in Computer Science and Engineering” (Cuny and Aspray, 2001). Joanne co-authored the report based on the study, “Recruiting and Retaining Women Graduate Students in Computer Science and Engineering,” which summarizes and expands on the results of a workshop and outlines research-based practices likely to promote gender balance in graduate computing programs. Joanne joined the CRA-W Board in 2007 and was responsible for leading their evaluation efforts. Along with CRA Director of Statistics and Evaluation Betsy Bizot, she oversaw the design of the Data Buddies project, which has been a great asset for the computing community. In 2013, Data Buddies became an official activity of the CRA’s in-house evaluation and social science research center, called Center for Evaluating the Research Pipeline (CERP). Joanne served on the CERP Steering Committee, which has helped shape CERP into the effective committee that it is today. Last year, Joanne was named the A. Richard Newton Educator ABIE Award Winner, which recognizes educators who develop innovative teaching practices and approaches that attract girls and women to computing, engineering, and math. We are grateful for Joanne’s contributions to the computing community, and she will be dearly missed.